Hawaii Miyazaki Kenjinkai will join the grand parade to show you a traditional performance (Hyottoko Dance) of Miyazaki Prefecture! Thank you for your support. Hawaii Miyazaki Kenjinkai (Chair Hirotoku Yamamono) is proud to bring over the singer, JILLE to perform her songs at the Honoluu Festival. She has been appointed as the local Miyagi prefecture’s Saitoshi’s ambassador. 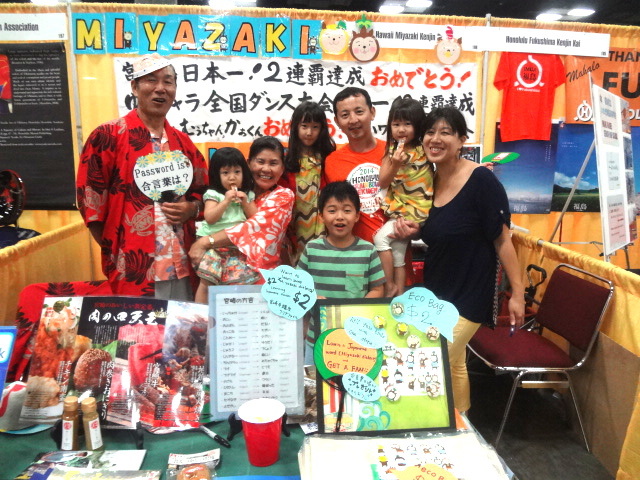 Hawaii Miyazaki Kenjinkai would like to have a traditional performance (Hyottoko Dance) of Miyazaki Prefecture for spread to the world.